OTL Blog » Blog Archive » Infringement season is upon us! Collaborators welcome! Infringement season is upon us! Collaborators welcome! The infringement season is upon us, and it is looking to be a red letter year for the global network of festivals! With four unique infringement festivals on offer in both Canada and the USA, it is going to be a great summer for both infringers, new and old, and audiences seeking daring and authentic arts! 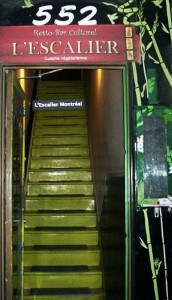 The Montreal infringement festival is moving into high gear and is beginning preparations for its 2011 edition. Now in its 8th year, the festival celebrates activist performances, critical discourse and a wide variety of infringement arts. Artists and audiences of all backgrounds are invited to create an anti-oppressive environment where people come together to take chances, push boundaries, explore uncharted territory, and challenge the omnipresent corporate worldview and all its spamming of the culture. Optative Theatrical Laboratories is proud to work with individual and group collaborators (such as the FTB collective) to organize the annual festival of culture-jamming, activist arts, experimental performances and a wide variety of events, all created by a diversity of people with important messages to get out. With no censorship, no fees to participate, no unethical sponsors, and no corporate environment, this is a true Do-It-Yourself festival that is designed to empower people through the arts and reclaim culture. Infringement is also a stark reaction to the corporate takeover of the Fringe movement, which began with the trademarking of the word “Fringe” in 1998. MONTREAL INFRINGEMENT NOW SEEKING COLLABORATORS! The Montreal festival is currently seeking collaborators, and anyone who agrees with festival’s mandate is most welcome to participate. Infringement collaborators do everything from making art, producing shows, handling media, booking venues and advising artists to culture-jamming and building the infringement movement, a global network designed to reclaim culture and democratize the arts. 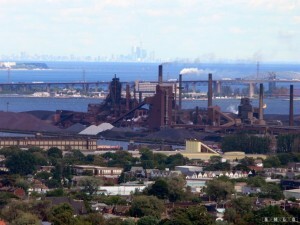 In Montreal, the dates have been set from Thursday, June 16 to Sunday, June 26, 2011. 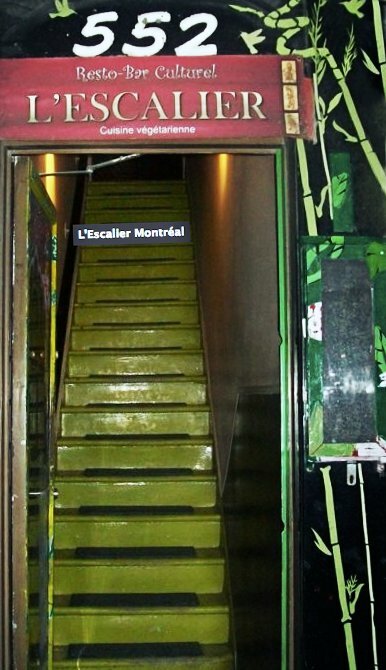 There are currently meetings every week for collaborators interested the festival, which are held every Monday at 6:30pm at the artsy “Resto Bar Culturel” L’Escalier (522 Ste. Catherine Est, metro Berri-UQAM). All are welcome to drop by, meet the Circle of collaborators, and learn more. For more information or to RSVP your place at the meeting, please email optatif@gmail.com! The Buffalo infringement Festival is a “non-profit-driven, non-hierarchical grassroots endeavor bringing together a broad range of eclectic, independent, experimental, and controversial art of all forms.” Taking place in multiple venues in and around Buffalo’s Allentown District, the festival is an annual eleven-day event running from the last weekend of July through the first weekend of August. Visual, theatrical, performing, musical, and media arts are all welcome here. There are also newer infringement festivals being staged in Brooklyn and Hamilton, Ontario this year! Brooklyn infringement, now in its 3rd edition, runs from May 19-22, 2011. Please note that the deadline for submissions is March 30. The Hamilton infringement festival will be announcing their dates and other information soon. “Entering our 2nd year, we’re seeking input from all interested parties,” says festival founder Gary St. Laurent. Infringement festivals have been held in various cities across the globe since 2004. In addition to the 2011 circuit, festivals have been held in places as diverse New York City, Regina, Ottawa, Toronto, and even Bordeaux in France! At the root of each festival is always at least one dedicated person with a will to bring the infringement movement to their community. As a Do-It-Yourself festival, collaborators are always welcome to create news festivals anywhere in the world, and there is even a guidebook explaining how to do it. Please spread the word – and the global infringement movement! Stay tuned to this blog and www.infringementfestival.com for updates and information! This entry was posted on Tuesday, February 8th, 2011 at 7:39 am	and is filed under Activism, Community issues, Culture-jams, Performance, Road Trips, Viral theatre. You can follow any responses to this entry through the RSS 2.0 feed. You can leave a response, or trackback from your own site.